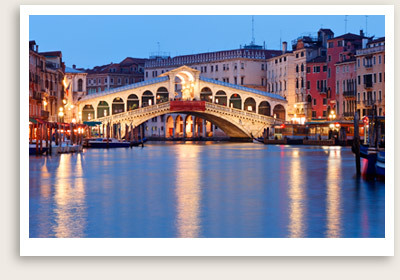 Venice Walking Tour Includes: Services of your private, licensed Venice tour guide. You will enjoy this private Venice walking tour of lively San Polo, located in Rialto, the commercial center of the Republic of Venice. Your private tour guide will tell you about the foreign merchants that came here from far and wide to sell precious products like fabrics and spices. Today, you can still visit the outdoor fish and produce markets. The guided tour continues through the narrow, winding back streets to reach San Polo Square and its ancient palaces. From here, you will reach the Frari campo (square) with its magnificent church, where you can admire masterpieces by Giovanni Bellini, Titian and other artists.